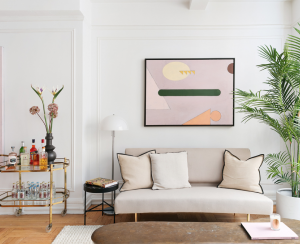 While plenty of city dwellers dream of snapping up a quaint, country fixer-upper for the price of a song, it's a rare windfall that takes a perfect storm of luck, fortitude, and patience. Clinton Q. and his husband Marco C., found themselves caught in the eye of such a storm and decided to ride it through to purchase their home in the Catskills—for $60,000 (yes, that's the correct number of zeroes). 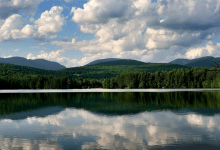 The pair purchased in the town of Saugerties, which sits in the North East corner of Ulster County, New York, and was originally “purchased” from the Esopus Sachem Tribe in 1677 by Governor Edmund Andros for a shirt, some corn, a piece of cloth, and a loaf of bread. Now, according to Zillow, the median price of a single-family home is currently $187,700. We first found the home online on Trulia.com then made the initial offer. 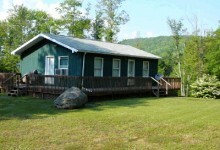 It was in short sale status, pre-foreclosure, and it was listed at $89,000, and we offered $65,000 on the listed price. [Ed note: there's a search filter to help you find foreclosure and pre-foreclosure properties on Trulia, and unless you uncheck it, these will show up among the rest of your search results.] Our initial budget, for both the purchase and restoration, was between $75,000 and $100,000, depending on which one of us you ask. 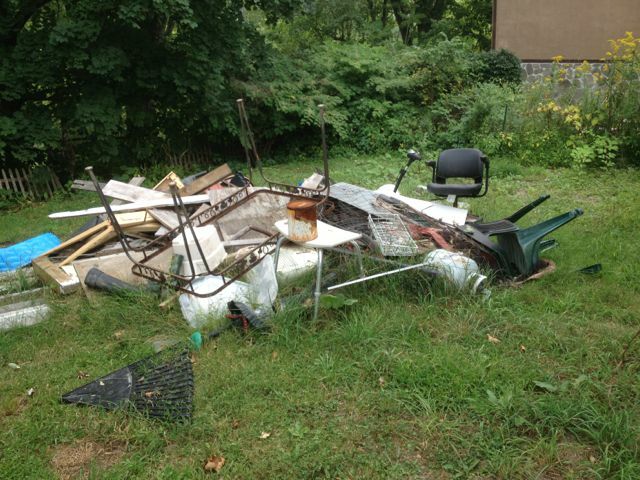 When we first went inside there was trash all over the yard along with a wheelchair and an oxygen tank. The former owners ran a pet cemetery headstone business. It sounds like a horror movie, but it’s true! There were slabs of granite all over the yard with carved animal faces on it. Dead mice and garbage was all over the interior of the house. It was uninhabitable, but two people were actually living there. It was like the worst episode of that show Hoarders. But we were obsessed about the history, which is why we kept coming back. There was a small wooden sign outside the entrance to the house that said “Johannes Meyers house 1763.” We had just come back from living in the Netherlands for a year, where we fell in love with the architecture, so we saw this as a (literal) sign. But to be honest, the big draw was the two huge fireplaces. One is an actual cook-in fireplace. In spite of the home's problems, there were still so many original details intact that were in fairly good condition. When we put the first offer in all the inspections were already done, too, so we knew the bones and the mechanics were all good, and that the renovations were purely cosmetic. We weren’t worried about it too much, but we knew that it was going to be a huge project. We didn’t really have a "plan" or renovations. We also weren’t in a hurry to move in, since we have an apartment in the city—fixing up the home could be a weekend pet project for a short while. We started with meeting a contractor through our broker—the amazing Kathy Maxwell in Kingston, New York, who gave us a list of trusted local contractors. 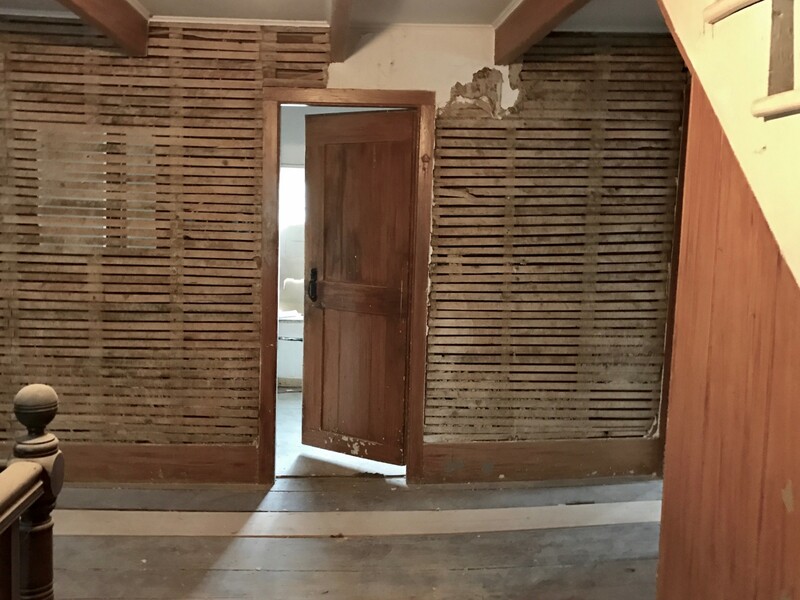 We ultimately picked one who had done renovations on historic houses before and we met with him and started to work on the rooms, one at a time. We kind of made our renovation plan as we went along. As far as the pricing, we ultimately evaluated the value based on its age—it was built in 1763. Stone houses in the area are fewer and far between. For lack of a better word, they’re sort of an "architectural fetish" for people. I didn’t see any comps for a house in the same condition as this one. We saw newer houses, from the 1900s that were much more without the appeal of this house. The Meyer family was a prominent family in Saugerties built the house. This was the son, Christian Meyer’s house. 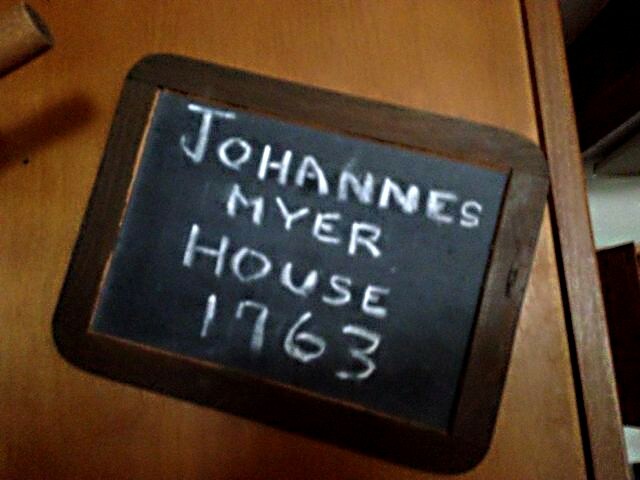 The father, Johanne Meyer's, house is an historic landmark. Our house sits right outside the village, so it’s not officially landmarked. Now, a typical house in this area runs for around $200,000 to $300,000 in this area, and stone houses in general—depending on the property and location—can sell for $1 million or more. I don’t think ours would sell for that because of location and how much land we have. 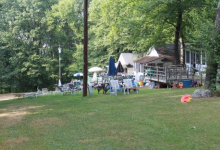 We only have .32 acres, we’re in the village so that’s a typical sized lot. It used to be a farm house but they built around it. 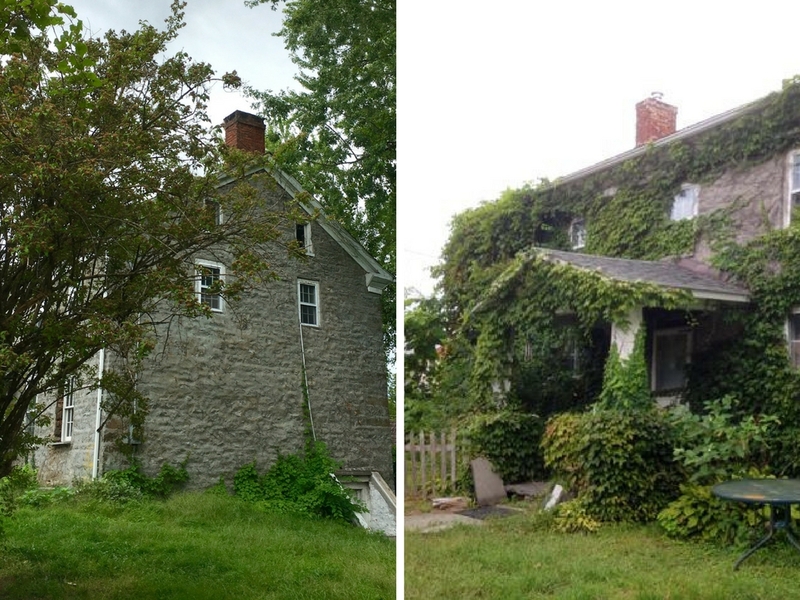 Most other stone houses that exist in Saugerties have about three to four acres. We’re about 20 minutes from Stoneridge, where lots of celebrities have houses. Most of them are beautiful, restored stone houses that I’m sure go for upwards of millions. You can’t even buy a mobile home from the '70s for this little money, so it’s a major steal. A teeny, tiny one-bedroom house next to us, the size of a ginger-bread house was bought, flipped, and sold for $142,000. Shortly after making our initial offer, we hit a major round block, and found out that the short sale had not been approved by the bank. After nine long months of waiting for bank approval, what was supposed to be for a “short sale” from one bank, turned out to be a not so “short sale” from two banks. In other words, the owner of the property had two outstanding mortgages (liens) on the property. This meant we’d have to get bank approval from two different banks, which is really difficult. Additionally, the seller’s broker pulled out of the picture and left us in the lurch. After talking it over, we also pulled out of the deal. Then we found out through our broker that the owner owed over $300,000 to bank. So we had to let it go—but that didn’t stop us from driving by to say hi to it! Eventually, around six months later, the house was foreclosed on. Our broker let us know it was up for bank auction and at the time we weren’t in a place to bid, because we thought the outstanding bank balance was going to be too much. So we put in the bid for $45,000, but we weren’t sure we’d get it because there were multiple bids. Kathy came back and said,” What’s the house worth to you to buy it?”, and we said $60,000. And we won, which was shocking! But because of the bank issues, we didn't get financing, and our ability to make a cash offer was a major factor in us getting the property. Besides good luck, we chalk up our good fortune on this deal to patience, and diligence. We never truly gave up on the property, even when we pulled out of the deal. We kind of told ourselves we let it go, but we kept driving by it and telling ourselves it was supposed to be ours. We looked at other houses in the interim, but nothing compared to this house—even those that were in better condition. It was well worth the wait.